India's capital announced new measures Friday to fight extreme air pollution that has earned it the title of world's most polluted city. From Jan. 1, for several weeks, private cars will only be allowed on New Delhi's roads on alternate days, depending on whether their license plates end in even or odd numbers, said Kewal Kumar Sharma, the city's chief secretary. The city's pollution peaks during the cold winter months. The city also plans to shut down one of its oldest and least efficient thermal power plants. The Badarpur plant, commissioned in the early 1970s, uses outdated equipment and often breaks down. Traffic police will also be told to ensure that diesel-guzzling trucks, which transit through the city at night, enter only after 11 p.m. Currently trucks are allowed to enter the city at 9 p.m., often resulting in massive traffic jams. It was not immediately clear when the measures would take effect or exactly how long they would continue. Sharma said the government also plans to buy special vacuum cleaning equipment to clean the roads and reduce the dust that shrouds the city. That measure will be in place by April, he said. The announcement came a day after the Delhi High Court upbraided the city's government for the "alarming" air pollution levels in the capital city. Earlier this year the city ordered all private cars older than 10 years to be taken off the roads, becoming the second major city in the world to do so after Beijing. 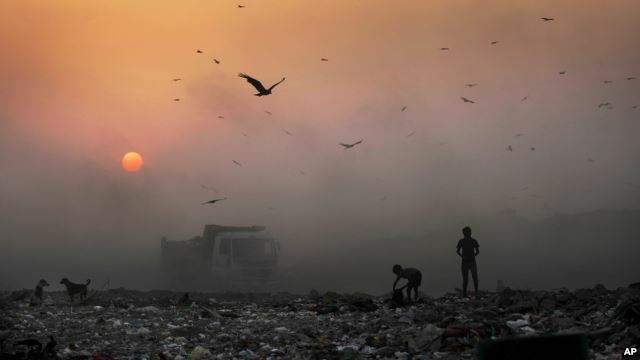 Last year, the World Health Organization named the Indian capital as the world's most polluted, with 12 other Indian cities ranking among the worst 20. In November and early December the city's air quality slumped to hazardous levels, with levels of PM2.5 pollutants, the very fine particles that get lodged inside the lungs and cause the most damage, soaring to 12 times above WHO's safety level of 25 micrograms per cubic meter. The city has been blanketed in grey smog, and while there is no reliable data on respiratory diseases, most doctors in the capital report a sharp spike in pollution-related illness during the winter months. 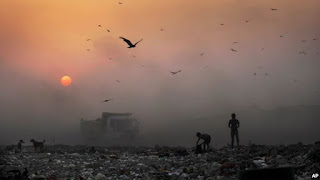 Sunita Narain, director of The Center for Science and Environment, a Delhi-based research and advocacy group, said the government had responded "to a public health emergency." "I would like to thank the Delhi government," she told reporters.